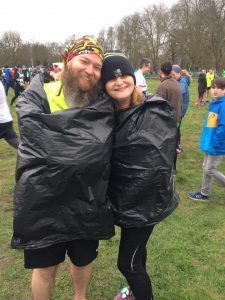 Earlier this year Valerie and Marc Kerr signed up to compete in the Cambridge Half Marathon on Sunday 5th March and The World Run on Sunday 7th May. 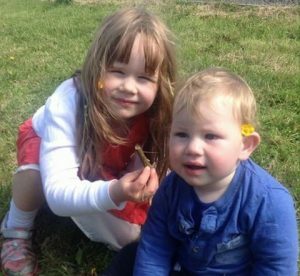 As stated on their Justgiving Page, they hadn’t heard of Erb’s Palsy until May 2015, when “our gorgeous little nephew Ben came into our lives”. “On 21st May 2015, just after 7am, my beautiful baby boy Ben was born weighing in at just under 10 pounds. 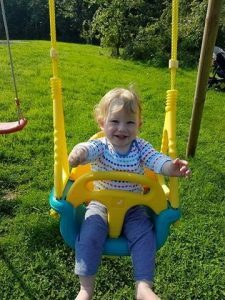 Ben had a difficult birth, during which his left shoulder got stuck and the 5 nerves in his arm, known as the Brachial Plexus, were damaged. His entire arm and hand were completely paralysed. His whole arm just lay limply at his side while his right arm windmilled around. It was very scary as I had never heard of this condition before and didn’t know what to expect. We were told to swaddle his arm against his body for 10 days to allow some healing to the damaged nerves. Then we had a physiotherapist come round weekly to monitor Ben’s progress. She taught me the exercises to do with Ben and made it clear these had to be done 10 times a day as otherwise his arm would stiffen. However it soon became apparent that it wasn’t healing well. He could raise his arm a little and wiggle his fingers but he had no elbow flexion at all. Eventually, we were referred to a specialist clinic in Glasgow. In January 2016 Ben underwent microscopic surgery to remove scar tissue from the nerves. He had a tendon transfer to keep his shoulder joint in place and a muscle release to aid his range of movement. We are very thankful to the wonderful surgical team at Glasgow hospital and are very hopeful that Ben will regain movement of his arm. Valerie and Mark raised a fabulous £410 for the Charity .